Siavonga – John Banji says he will never forget how he cried as he watched his 10-month-old daughter wave goodbye from a moving rickety car. His father-in-law had had enough as the unemployed Banji had failed to provide for his family. That was five years ago, when Banji eked out a living from odd jobs at the fisheries and tourist lodges in Siavonga, a staid township, and home to Kariba Dam. Today Banji is a content man, renting an airy three-roomed cabin and his in-laws are regular visitors. The daughter attends a day-care centre nearby. The wife now contributes to the family income selling fish and charcoal at the town’s popular uphill market. 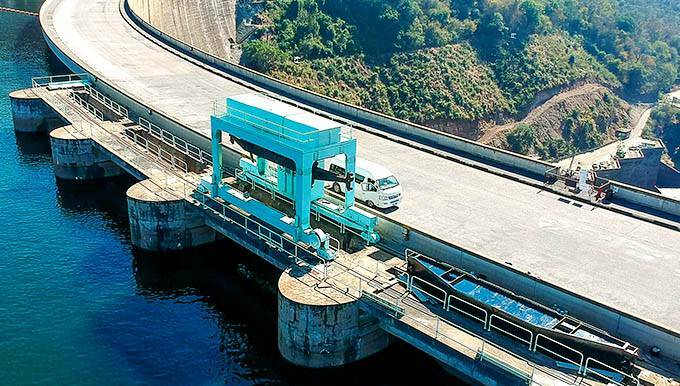 Banji is one of close to 150 general hands employed so far at the ongoing US$ 294 million Kariba Dam Rehabilitation Project (KDRP) — earning around US$ 180 per month. Zambia’s minimum wage is US$143. The European Union (EU) is the largest financier — with a 64 million Euro (USD100million) grant to Zambia for the project, making the Kariba Dam Rehabilitation Project one of the largest EU funded projects in Africa. The other financiers are the World Bank ($75 million loan), the African Development Bank ($36 million grant to Zimbabwe and a $39 million loan to Zambia), and Sweden ($25 million grant) with the balance being paid by Zambia and Zimbabwe, through their jointly owned Zambezi River Authority (ZRA)—operators of the dam. 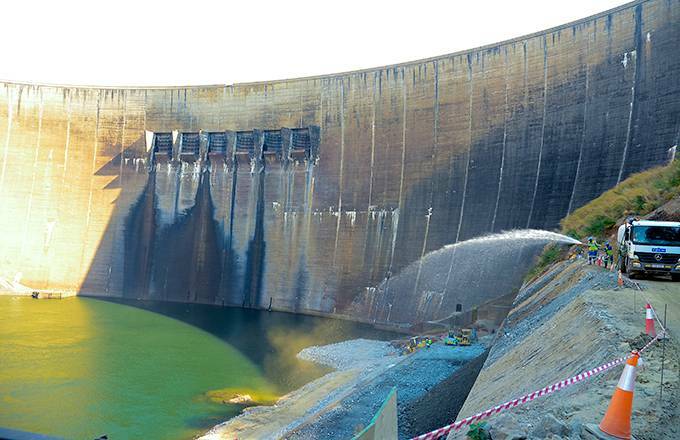 The dam repair has raised hopes for people in Kariba and Siavonga, the two towns overlooking Kariba Dam, with the promise of jobs and increased business opportunities that the influx of people into the area for the duration of the project will bring. The rehabilitation of the world’s largest man-made reservoir has prevented both from turning into ghost towns. “You would have shed a tear as hundreds of youths surged at the recruitment office for the first intake. “It was like a swarm of bees. Police were on standby just in case,” says Siavonga Town Council District Planning Officer, Trophius Kufanga, recalling the first intake of unskilled workers at the dam site earlier this year. 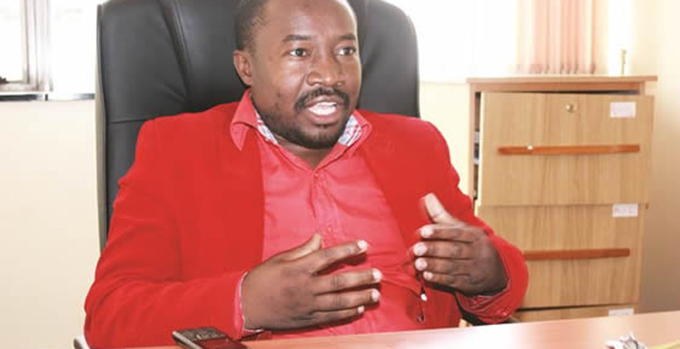 Grinding poverty has led to allegations of unfair recruitment, with some local leaders alleging the hiring of outsiders at the expense of locals. Already, some 62% of unskilled workers to date are from local communities. According to the US-based Borgen Project, a non-profit organization, 60 percent of people live below the poverty datum line in Zambia and 72.3 percent in Zimbabwe. “The works are complex in nature and require specialist sub-contractors and equipment for various activities such as diving for underwater tasks and blasting specialists,” says Adam Grodzicki, Head of Infrastructure Section at the Delegation of the EU to Zambia. Besides promising long-term safety and reliability of the dam, the project is also bringing greater societal benefits that include skills and technology transfer. Although knowledge and skills transfer is not a key component of the project, the EU expects that through employment and job related training, the skills of local people will be enhanced. The EU is also providing technical assistance to ZRA to enhance the project management skills of the institution. 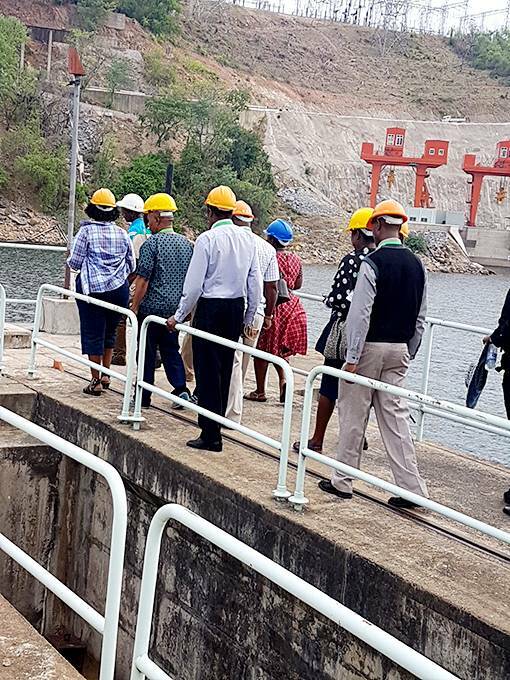 “The real and substantive jobs will come with time as investors are assured of the availability of sustainable energy following the dam repair,” says Siavonga District Commissioner Lovemore Kanyama. Every sector is optimistic about the economic returns of the rehabilitation project. Marketing Manager of the Zimbabwe Tourism Authority Daisy Guvamombe is optimistic, saying the KDRP ensures tourists will have trust in the dam wall being safe to visit. “The floodgates are what tourists want to see. 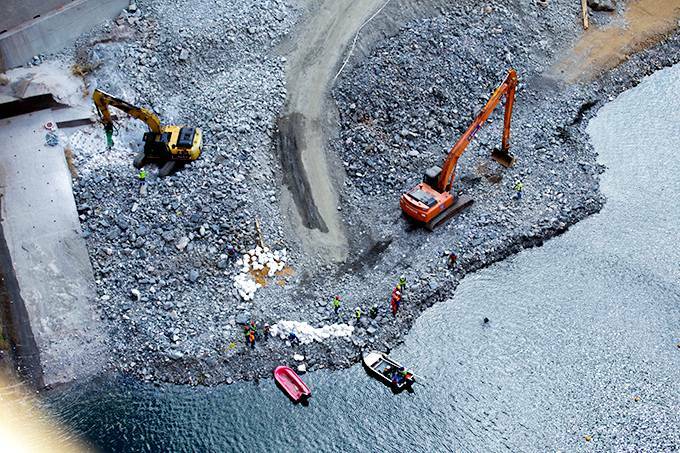 The dam repairs will prompt repeat visits after tourists are satisfied that the destination is safe. The dam is one of the biggest tourist attractions in the region,” she says. The project has already been a major boost for some of the hoteliers in Siavonga. “The main impact has been on hotel accommodation,” says Steve Thompson, Chairman of Siavonga Tourism and Development Association. “There has been an increase in the number of local people employed and more money has been put in the economy. “Razel Bec [the contractor] is housing its entire expatriate staff and the staff of its sub-contractors in local hotels,” says Thompson. Some hoteliers have already begun refurbishing and or extending their facilities. Razel Bec, the civil works division of the Fayat Group of France, which has built several dams in France, Algeria and Cameroon, has offered a bulldozer to the town. “This will be used on the construction of a bus and taxi terminus in the town’s commercial district at a huge saving to us,’ says Kufanga, Siavonga District Planning Officer. Education officer for Siavonga District Mrs Ephe H.Ngolwe said the district had enough vacancies should there be a sudden influx. “We could use increased staffing levels, improved infrastructure, including sporting and library facilities,” she says. This potential influx of people however, concerns Dr Herbert Luhanga, the acting medical officer in charge at the Siavonga District Hospital as he anticipates an increase in the spread of communicable diseases with more people concentrated in the area. Local chiefs from Zambia and Zimbabwe — traditional leaders of those displaced by the construction of the Kariba Dam in the 1950s — plan to conduct rituals “to appease ancestral spirits”. “We wish workers at the site well and will conduct rituals so the spirits will not get rough on them and ourselves,” says Chief Sinadambwe. When Kariba Dam was built, the huge body of water that flooded the land upstream displaced thousands of the valley’s original inhabitants, the BaTonga and KoreKore, forcing them to adjust to a harsh new life in arid farmlands inland. The current project looks to rehabilitate the now existing dam and as a result it is not foreseen that any further resettlement would be necessary as there will be no changes to the lake or the area downstream of the dam and the works on the dam itself are confined to the existing structure. With the contract for Kariba Dam Rehabilitation Project signed in February 2017, the works commenced in the middle of the year. The works involve the reshaping of the plunge pool at the foot of the dam wall to enlarge it and the reduce rock erosion caused by water spilling over the past 60 years, and the rehabilitation of the spillway gates. ZRA has, since the 1990s, opened only three of the dam’s six floodgates at a time, to slow the natural erosion of the plunge pool. Engineer Munyaradzi Munondawafa, the Chief Executive of ZRA, said he was confident the project would be completed by 2025. “The KDRP is a fine example of collaboration among funding partners – the EU, the World Bank, African Development Bank, the Government of Sweden and the Governments of Zambia and Zimbabwe and ZRA. Working together has made KDRP possible,” he says. The EU regards transparency and communication with all stakeholders of utmost importance. This includes the production of a local radio programme for Siavonga / Kariba area citizens. 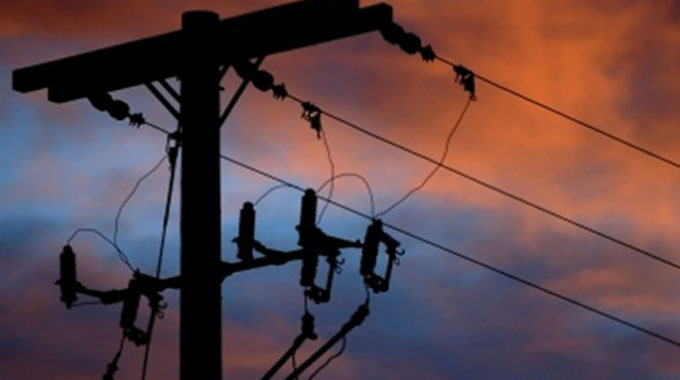 The rehabilitation works include risk management to ensure that the energy supplied to both Zambia and Zimbabwe will not be interrupted for the foreseeable future and that it will contribute to the continued economic growth of the region and well being of the citizens.